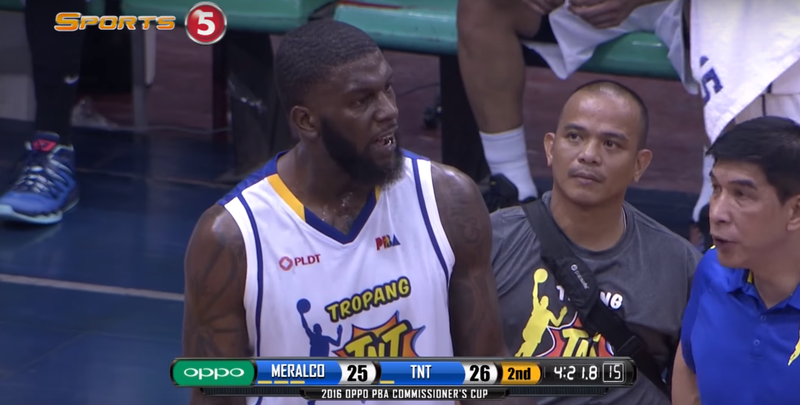 In the second quarter of the Talk N’ Text Tropang Texters game against the Meralco Bolts, Johnson got mad at referees after he was ejected for elbowing Bryan Faundo. PBA Commissioner Chito Narvasa reacted quickly and banned Johnson from the league and fined him 250,000 Phillipine pesos (about $5,000) before the game had even ended. This is not the first time Ivan Johnson has been banned from another country’s league. The Korean Basketball League banned him for life back in 2010 after he flipped officials the bird following an ejection. The ban was not without controversy. The decision seemingly came after a very short amount of deliberation. There was nearly no due process, and his TNT Tropang teammates and coaches were rightly pissed. Rain or Shine (yes, PBA teams are all named after their sponsors) coach Yeng Guiao, however, was a fan of the decision. Johnson’s fine was the same as the fine Renaldo Balkman earned from the PBA for choking a teammate out three years ago.